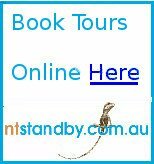 British naturalist Charles Darwin is well remembered in the Northern Territory with a City, a Harbour, a University and a National Park all bearing his name - even though he never actually visited the area. The second voyage of HMS Beagle under Captain Robert FitzRoy from 27 December 1831 to 2 October 1836 is well known through Darwins famous journal published as The Voyage of the Beagle. In 1837 HMS Beagle sailed to survey the coast of Australia under the command of Commander John Clements Wickham, who had been a Lieutenant on the second voyage, with assistant surveyor Lieutenant John Lort Stokes who had been mate and assistant surveyor on that voyage. In May 1839 they sailed north to survey the shores of the Arafura Sea finding and naming Darwin Harbour after their famous companion from the earlier voyage. On 5 February 1869, George Goyder, the Surveyor-General of South Australia, established a small settlement of 135 men and women at Port Darwin. Goyder named the settlement Palmerston, after the British Prime Minister Lord Palmerston. 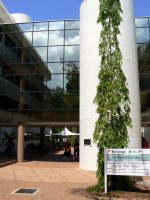 In 1911 the Commonwealth Government took over the administration of the Northern Territory and the settlement was renamed Darwin. 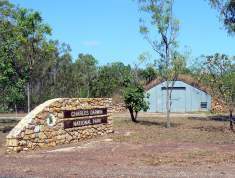 Charles Darwin National Park is located on the shore of Darwin Harbour and includes significant mangroves and harbour habitats close to the city. Only 10 minutes drive from the city along Tiger Brennan Drive, look for a right turn at traffic lights on the corner of Bowen Street, Winnellie.